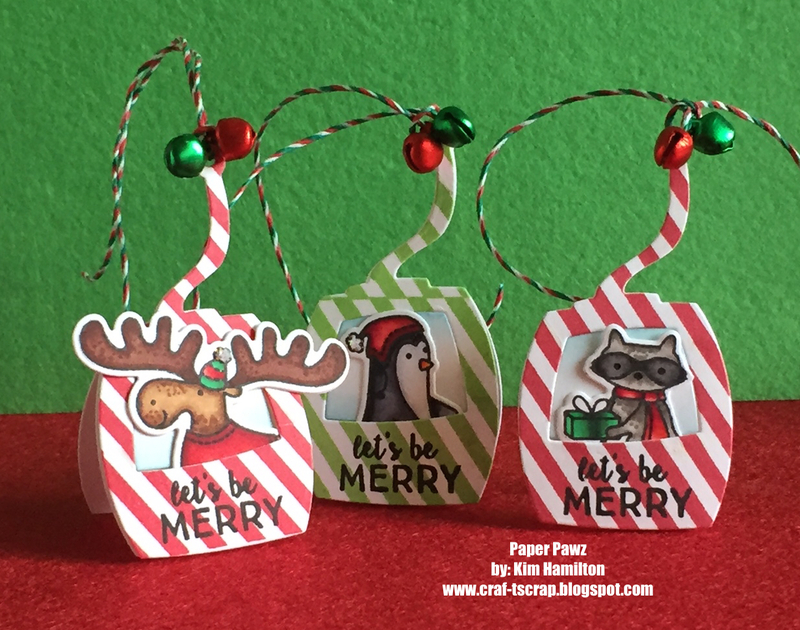 I love making holiday tags, I try and make 3-5 of the same design. For the AEIheartU Challenge, my first thought was the Avery Elle Snow Lift die from the Snow Cap Elements die set! These tags will be fantastic for my nieces and nephews! I partially die-cut two (for each tag) of the snow lift to make the backing tags solid, for the top portion of the tag I used the full die-cut and used the border stamp from Naughty or Nice with my Misti Stamp tool to try and line the "lines" up as well as possible. I used a bit of Tumbled Glass Distress Ink on the window piece just to give a bit of dimension. I the Copic coloured my critters from the Snow Much Fun set and die cut them. The sentiment is also from the Snow Much Fun set. Finished them off with some twine and some fun jingle bells! Cuteness * 3!! Thanks for joining us at the AEI♥U Challenge! Lawnscaping November Blog Hop - Violet! Fawny Holiday Week - Day Three! Lawnscapaing #118 - In with the Old! Lawnscaping Challenge #117 - Thinking of You!